The journey began with a trip to Lowe’s Home Improvement Store. Cabinetry. My kitchen’s oak-y cabinets look muddy on video. Furthermore, the upper bank of cabinets is proportionally “off.” The cabinets are too squat for the room’s 11 foot ceiling. The solution. Lowe’s has lots of kitchen cabinet color options. I decided a sage-green finish might look well in this Victorian house. As for the too-squat-cabinet dilemma, the designer from Lowe’s suggested I use not one, but two banks of upper cabinets. The uppermost bank would require a step ladder to access, but it could hold the batterie de cuisine that I don’t use every day. Fortunately the upper bank of cabinets on the kitchen’s east wall are suitably tall. I won’t replace them, as they are original to the house. Double Wall Ovens. Oh, baby. I’ve wanted these since forever, but where to place them in my existing kitchen? Ah, that is the question! The solution. Put the wall ovens where the refrigerator now stands! And the refrigerator? Move it to the east wall. True, I’d have to relocate one of the 19th-century upper cabinets, and lose one section of the lower cabinet bank. On the other hand, I’d gain both counter and cabinet space between the new wall ovens and the existing range. The wall ovens require considerably less space than the fridge. Built-In Burners for Work Station. For both live and filmed cooking demos, my free-standing work station could use a built-in cook-top. Unfortunately, such a device would render the station immobile. For food photography, I like to move the station near the windows. For videos, I position the station between sink and range. The solution. The Lowe’s designer suggested a 2-burner (either electric coil or induction) insert for my work station. The contractor had a great idea, too. He can run an electric cable from basement to kitchen floor, and provide extra slack for “wiggle room.” This way, I can have my built-in cook-top and maneuverability, too! Next steps. Now that my kitchen has been assessed and measured, the designer will create a computer mock-up of the room. Then she and I will play around with different cabinets, counter tops, and wall ovens. Heck, with digital graphics, even the kitchen sink can be moved! Finally, we will look at the cost of all this work, and decide that what Kevin wants and what Kevin can afford afford are two entirely different things! Now back to my original question: What would you do if you could re-do your kitchen? I’m all ears! I would recommend quartz counters instead of marble in case you are interested in marble. Lowe’s has great options for look alike marble in quartz such as lagoon which I believe Silestone makes. There are even others beyond Silestone’s lagoon. My favorite additions to my galley kitchen in my turn of the century house were a pantry cupboard with slide out shelves and a recycle & garbage slide out drawer. No more tripping o ef the trash recepticle! I’m going through this same dilemma myself, only we are completely redoing the kitchen in a house we’re buying before we move in, plus a breakfast room, laundry room, and 2 bathrooms. Everything new. Everything I want. Anything goes. Ha! Right. And then the budget will determine how that all plays out. Plus, we are trying to stay with the integrity of the age and style of the house, and keep original-to-the-house elements when possible. There are soooo many choices and decisions to make. I’m going a bit cross-eyed looking at so many pictures on so many sites. Right now I’m trying to decide on countertop material…the house is a 1933 Spanish Revival, very California, we want bright colors, backsplash tiles, saltillo tile floors, I think we’ve decided on sorta sage green cupboards, too! (I think. I thinnnnk.) I don’t know what to do with the counter tops cuz, from experience, i want smooth counters, not tile, cuz I hate keeping tile counters clean, and I like the smooth surface for baking, etc… but trying to reconcile that kind of surface with the bright beautiful tiles in the backsplash and elsewhere. And appliances…stainless? Not stainless? Single basin or double basin sink? Apron front or not? Double oven, or single oven and microwave/convection combo? Aaaarggggh. I’m going crazy! Budget? Budget?! Harumph. It’s fun. Mostly. But, oh, so stressful! I can’t wait to see what you do in yours! I have such a long list for what I would want in a kitchen, but as we are currently renting a basement suite, those will have to wait until we have a home of our own. Currently we’re working on having a dining room table somewhere in the mix since we want to have family meals around a table together now that our son is old enough to understand and appreciate the concept. The problem is that we have to find a new home for our baby grand piano if we do that. I know it sounds like a weird layout when I say that, and it is a bit but so far it has worked for us. Now it is no longer working and we need to find something new to do! I love the idea of having double banks of cabinets! I’ve always thought that cabinets going to the ceiling is the way to go. I actually like your dark green wallpaper, though. Maybe it would look different to you if the cabinets were white. Enjoy the planning phase! It’s always so much more fun to dream, rather than to live in the construction mess. Can’t wait to see what it looks like in the end! I love reading about your ideas. My kitchen is the worst took in my hour, with no hope of being remodeled soon. It is in a 1940’s cape, and the kitchen is an 8×12′ galley. Not great for someone who likes to cook! If I could, I would bump out the front wall to the end of the front porch, gaining 8′ making it 16×12′. Then it would get new cabinets, an island, and even a small table an chairs. If not, then I would first move the washer/dryer out of the kitchen (gaining 5’of counter and storage), strip the ugly wallpaper, and be happy! I live in an 1865 Gothic farmhouse & I redid my kitchen in 2014. Love it! Cupboards to top using tons of crown mouldings, exposed brick wall , incorporate antiques- my island is an 1860 Scottish store counter that I had my contractor add drawers & a waste receptacle in. Never put garbage under sink. You’ll save yourself so much grief & Store platters over fridge with a rack. Great use of wall space. Personally I’d rethink the mint green cabinets. An antiqued cream won’t get “dated” & if you want to update will go with any paint colour. Lights. Lights. Lights. As we age beyond our younger years we need more light. I have good lighting in my kitchen plus a for when needed extra bright double tube fluorescent fixture with the proper light color tubes. The best decision we made when we redid our kitchen 22 (!) years ago was to have double wide drawers in the lower cabinetry, i.e., just under the countertops. If I could redo my kitchen I would choose cabinet knobs that DON’T catch on my clothing and tear off my sweater buttons. Something more flush with the door itself. I’d consider cork flooring to ease my feet for long periods of food prep. I’d hope for a low cabinet dedicated to hiding my trash can. I would also install a 3-D window that projects outward, with shelving, to hold my succulent houseplants which suffer for lack of light. Wow, you are going to have a ball with this project !!! Thanks for including us. Kevin, I would stay away from colored cabinets. They start looking tired after about 5 years. My friend put them in a $100,000. reno of a kitchen/butlers pantry. They look worn now. The storage to the ceiling is fabulous . My husband reclaimed the air space in my large pantry, put a 8’ ceiling in there and made the space above into storage. He put cabinet doors on the space and we now store all the paper goods and cleaning supplies that I buy in bulk. I use every square inch. Can’t have too much storage. On your island have them cut in a small hole, put a sm.trash catcher, have a lid made, and you can now swipe your veggie peelings directly into your compost can. They slide out and it’s so handy, out of site, and easy access. Another cool tool is those magnets. Install on side of the island or inside cabinet door, hang all the knives on there. I like it so much better than the knife block that takes up counter space or drawer space. Be sure and have LED lights as they are so bright. I have them everywhere I can. Have fun and don’t second guess. Go with your first instinct as it serves you well. Hi Kevin, The new Puppy looks to be a sweetheart. 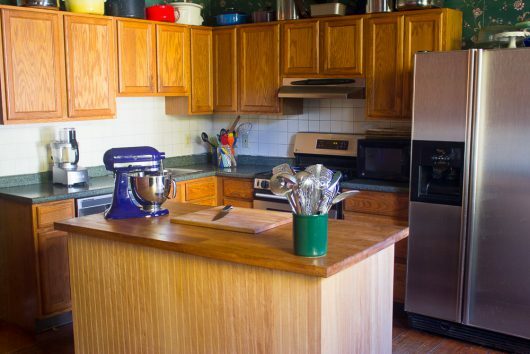 On to the question….I redid my kitchen 4 years ago when we moved into this house. Stayed with the same plan since there was no way to improve it. Things I wish I had done: Installed a pot filler by the stove. Should have added a better vent fan. We kept the existing dishwashers because they are the high end two drawer type…big mistake. There is no room for anything big in them resulting in way too much hand-to-hand combat after meals. Also wish I had gotten one big sink. This two small sink thing stinks. I sometimes do. If pans in the laundry room rather than wrestle with the saddle between sinks. Lastly one good thing was to install an instant boiling water tap at the sink. Great for a quick cup of tea or whatever. Going to start winter sowing today. I love cabinets with clear glass. Also what about narrow cabinets above the window? With clear glass of course to show of your pretties! Who ever started counter with tile that have grout is very bad. What a pain to keep clean!! We had granite in this house but it was the tile squares. ?? Had it ripped out right away and had metal installed. Wouldn’t recommend to anyone!! They are only made in Gravite, Ark. In case you are interested in seeing what they look like. Are pretty but scratch to easily!! DH was in sheet metal for years and thought they’d be a good idea. NOT!! We re-did our kitchen just 13 years ago and have loved it but I would now like to make some “tweaks,” mainly cosmetic. If I were doing it again today, I would probably choose white cabinets – at the time, natural wood was more popular and we have birch and I still like them – but am thinking about painting the base of the very large island, also birch, (which houses a large crushed granite sink – I highly recommend) either a color to match the backsplash, kind of grey-blue or grey or cream. Re the crushed granite composite sink – it doesn’t seem to be used much in the Northeast but I discovered it elsewhere and just love it. Ours is very dark gray/black (they come in different colors) and is totally maintenance free, no clanging of metal; no scrapes – I have a white one in a vacation property and the white does need a bit more tending but not a lot. Highly, highly recommend. My surfaces are granite which I know is not recommended as much now but I have had no trouble keeping them clean, shiny and in good shape. I would like a bit more bling on my backsplash and am considering removing some of the tile which is a bluish-gray natural type look and replacing with some sparkly glass tile. The main lights in the kitchen are high hats – again I like them but want to replace the two over the island with pendants, again for bling and visual interest more than function. I prefer my sink in my island rather than my cooktop – personal preference. The one thing I wanted and didn’t get because of advice from contractor and spouse was a pot filler – who said it wasn’t worth it. It would have been. It might be too much trouble now to install because of having to put in a water line. I can live without it but will check it out. Otherwise, I love my kitchen. I totally love the blue you may choose for your cabinets, love the idea of their going to the ceiling – yes, it does mean a ladder, but worth it; love the mix and match of the new with the originals. Not so crazy about the swirlies on the apron of the sink but again that’s personal preference. Can’t wait to see the final result. 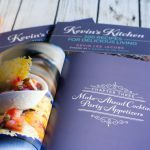 You will love cooking even more! (if that’s possible). The first thing I would do is contact Amy Woolf Color Consulting. If she can’t come to you, Amy does virtual consulting for not only paint but complete redesigns. She loves doing kitchens ! She helped me with choosing paint colors for my home and we are now in the process of doing a small kitchen project. She’s the best! You need a much larger island (I have one and absolutely love it and use all of it). Just make sure there is no sink or cook top on it. A plain large quartz surface works best for all needs. Seating on side is always great as everyone naturally ends up in the kitchen anyway. I went to Lowe’s as well. The contractor and the designer are both local, and the cabinets are from not-far-away. We went with the same layout (our kitchen is tiny), but added glass doors on the upper cabinets, better quality cabinets, and (gasp!) a dishwasher! We dressed the island and cabinet sides with bead board. We used a quartz that looks a bit like soapstone. Ready for another 30 years of culinary masterpieces! just take an aspirin, better yet, wine when the estimate for a new beautiful but functional kitchen arrives in the mail. P.S. – take advantage of all the different types of cabinet inserts and organizers that meet your needs – shelves that pull out, tray dividers, etc. Sounds like an extravagance when presented but really, really make a difference in keeping everything organized. We only did a few of the cabinets initially and soon realized how useful they were and had the cabinet people come back and add more. I recommend soapstone counters. Historical, practical and (at least when my kitchen was done 14 years ago) economical compared to marble and granite. They never show age, wear and tear; all you need to do is wipe them a couple of times a year with mineral oil. You can set hot pots and pans down and even cut on them (though to save knife sharpening, I use cutting boards). And soapstone would look as fantastic next to your sage cabinets as it does next to mine in yellow buttermilk paint. When it started I did not understand the rush to stainless appliances. This house had only one; now there are two. I hate the finish on both. Every spot shows. I suggest you avoid these finishes whenever possible in your new kitchen. I applaud your choice of the green as I have a similar shade on my cabinets in this ancient house. What can I say? Good taste? An upper tier of cabinets will be so useful and improve the visuals. I understand YOUR need for changes and a double oven because of the videos and convenience. Adding a double oven is really all I would do here, though doing so would necessitate major changes. Fortunately the shelving on the basement stairs provides countertop appliance storage. My kitchen is far from perfect, but I am used to it and what comes out of it is what matters to me. Thank you for helping me with the latter! We bought our 50’s era (Florida) house five years ago and it still had the original kitchen with dropped ceiling. Ugly, ugly, ugly. It had a bizarre brick half wall, creating a kind of hall joining the front room to the living room. All walls in the entire house were painted pink. We removed the half wall, then opened up the wall between the living room and kitchen, inserting a bar top. This opened up the view to the twenty-foot sliding glass door wall that leads out to the swimming pool. Cherry wood cabinets, with bottom cabinets drawers instead of doors. Large stainless steel single sink. Convection oven with induction stove top combo. Lost the drop ceiling and installed eight top hat lights, plus under counter lights, making the kitchen bright. Two swag lights over the bar. Guests can sit at the bar and chat while we cook. We replaced the linoleum with ceramic tile floor. Walls are now either a lemony beige or white. Double ovens are wonderful. You want try to keep the sink, work station, fridge and ovens within a triangle , close enough you do not have to take many steps to get from one to another. Our architect had a 3-step criteria. It has proved a blessing. When preparing one of your lovely feasts, you will really appreciate the proximity. Sliding shelves and ‘pot drawers’ on the lower cabinets (under the counter) are really great. You can ‘see’ everything And as we age, it is harder to squat down to look inside a lower cabinet to retrieve pots and pans or heavy baking dishes. And speaking of pots and pans, a pot rack is great. It is so useful when cooking. Just reach up and grab what you need. A suggestion about decor: keep it timeless and don’t get sucked into trendy materials that will date the kitchen’s reno project. 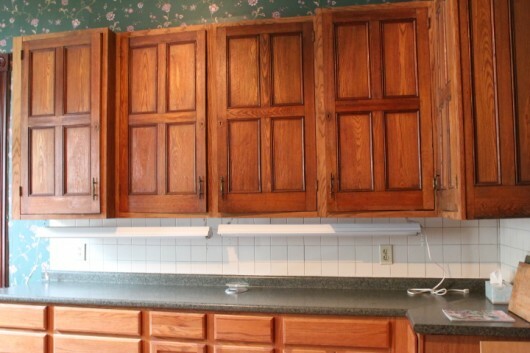 Those original cabinets are beautiful. Let them be the design inspiration for your lovely home. Any chance the sink could be at or near a window? That would be 1st on my list but understand your windows might be large & low. Also, I love the endless idea photos you can save in folders from Houzz.com. Topics include everything for the home-inside & out. The older I get the more trouble I have to fetch something from the bottom of the under cabinets, so I advise to install drawers ( great for heavy stuff like big pans). And lots of led-lights, also good for taking pictures or making video’s ( ask a photographer I would say) so you don’t have to move your kitchen-island. If you insist on coloured cabinets go for the blue that goes well with your eyes. Or, if you dare, go for very dark blue with accents in gold or red copper. Enjoy the journey to your new kitchen. Hi Kevin! What a dream to remodel a kitchen! One thing I would like to caution you on regarding your double ovens tho. My friend recently had issues with her double ovens in her new remodel. The ovens would turn off when self cleaning, because there was not enough air for ventilation, because the ovens are set into cabinetry. Her contractors solution? Pull the ovens out from the cabinetry every time she uses the self clean feature. Her solution? She doesn’t clean the ovens! Of course all double wall ovens are set in cabinetry…I was very surprised she doesn’t have any recourse with the cabinets or the oven manufacturer. I would think there would be a better solution. Good luck to you!! Love your newsletter! Very happy you have a new pup too! She looks very sweet. Well I was in this same dilemma about ten years ago in our 1812 home. Yes I splurged on the Wolf Double ovens and Wolf propane 6 burner cooktop ( priceless when the Power here in NH goes out..can still cook!). It also is so worth putting in a “ pot filler” faucet above cook top to continually fill those kettles, pots of pasta water etc. Wanted marble or granite tops but found soapstone less pricey and as wonderful. Have a splendid walk in pantry…so envied by visitors, glides on my lower kitchen shelves for all pots, serving dishes,food processor etc. It had been a dark, dismal dreary set of chopped up rooms, now is open and airy. Only thing I would change…I have hardwood maple floors with Swedish finish but with dogs going in and out, me traipsing in from gardens, hubs from wood shop , they show everything! My swiffer, broom, vacuum are always in use. All your ideas sound wonderful, Kevin. I’m glad you can retain some of the original cabinetry. Will you be keeping it natural? That would loook lovely juxtaposed with the Sage you’re considering for the new ones. If I could change anything in my kitchen it would be the countertops, either to wood or slate or soapstone. Also, I don’t have a large fridge … instead I purchased one that’s “British” sized and I have it under the counter where the dishwasher used to be. (I never used the dishwasher and was glad to give it away.) This means the large alcove where a full-sized refrigerator would normally go is available for a built-in Armoire style cabinet, to hold lots of my kitchen bibs and bibs. A girl can dream! Best of kuck with your own plans! Cast iron farm sink with an apron…I love reclaimed antique doors for the pantry door, and in historic homes a plate rack on the wall. I have granite counter tops, which I love; however, my dream is a soapstone. 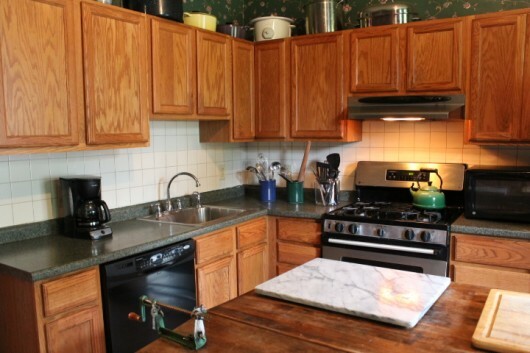 In Vermont, a kitchen in a B&B had soapstone counter tops and a marble top for the island that the owner used for baking preparation. It truly was beautiful. A pot filler by the stove is lovely as well. Maybe several glass front cabinets to show off the beautiful china that I always see in the photos. I designed my first kitchen re-do in the mid 60’s. Since then I have redone 5 kitchens. The one when i consulted a “kitchen designer” who used a computer design program, was the most expensive and the least successful. My most successful is my current IKEA kitchen. My kitchen is small but every inch offers storage and work space using IKEA products and some custom cabinetry. Storage and work space are most important to me. I did this kitchen slowly and pragmatically. It has served me very well for over 15 years and gotten accolades from interior designers and architect friends.The only changes I have made was to replace the stainless refrigerator and range. They drove me crazy. Kevin,you may contact me……………. Your new puppy is a cutie ❤️ How wonderful to have so much much response from your loyal followers, including me! Number one, You have to have a PANTRY! Is a must! The wallpaper needs to go and the cabinets , can be staggered and painted if you prefer to keep them. I prefer gas over electric, you have better control of heat on what ever you are cooking. Cabinets to the ceiling , it will give the illusion of spacious kitchen, with a beautiful molding. So much research and the budget! Good luck to you on what wherever you decide, you have a wonderful taste. I can’t wait to see the results. Keep us posted! When we remodeled our kitchen 17 years ago, we opted for hickory cabinets with large drawers for pots and pans. The double 24” deep pantry has pull-out shelves. Both the drawers and pantry are the best thing we did! You and Mr. Fox have done such an amazing job with your home. 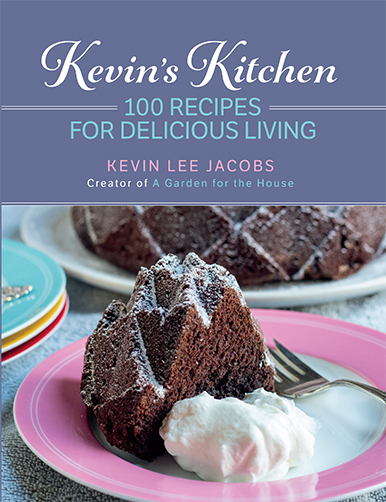 A terrific cook deserves a fabulous kitchen, Kevin! Thrilled you are about to have yours! Countertop options could include poured in place concrete. Even if leaves are set in for design the finished top is smooth as butter. I don’t have them but I love the idea. Anyone with experience with this finish? I love all your ideas so far! My suggestion is to stick with a high-quality stainless steel sink rather than the trendy porcelain farmhouse sinks. If you enjoy antique fine china, a stainless sink is much less likely to cause accidental chips, plus it doesn’t stain or scratch. I also recommend one large bowl rather than a split sink for washing large items. I am redoing my 1908 bungalow kitchen. I chose cliqustudios.com for the cabinets. They do everything online, so their prices are incredible. Like half of brick & mortar stores. They also have a line of cabinetry where the drawers and doors fit inside the frames of the cabinet, like antique -style furniture (Modern cabinetry have the doors and drawers ‘float’ over the frame). I’m very excited about this, because I want a vintage look. I’m doing soapstone countertops and matching farm sink. Soapstone is nonporous and will not stain. (It’s used in laboratories). Scratching can be buffed out, too. The cabinet pulls are reproduced from antique originals. I’m even using old, wavey, beveled glass in some of the doors. Currently, we are picking out vintage-style light fixtures and faucets. Did our kitchen a few years ago. One thing I would recommend is having at least three estimates. All ours were so different. One thing I loved was a bank of drawers on the bottom cabinets. Wished I had done all of them that way. Make sure you have a pantry , walk in perfered if you have the room. Upper cabinets shoul have at least one set with glass just to break it up. My neighbor had a small prep sink put in her Island across from the refrigerator and at the opposite end of her main sink. Her cabinets were done in maple but she has two sets of creamy white cabinets ,one one each end of the kitchen. Kevin your new puppy is adorable. We redid our kitchen 1.5 years ago. Best decisions are Cambria Quartz if you can afford it, but definitely quartz, Silgranit single large sink ( you can actually wash platters and clean those large refrigerator parts in the sink), and a large island. I agree about built in garbage. I love gas but my stove top in gas is a constant cleanup and I am always putting the grills into the dishwasher. Do it right because kitchens are expensive, and in your case your business. You won’t regret it. Can’t wait to see what you do. If I could, I would have a double set of floor to ceiling cabinets installed, creating a ‘pantry’. Have had pantries in previous kitchens, but no space for them now. Being able to store things in the pantry increases the functionality of the kitchen by opening up counter space and reducing the number of trips to the grocery. Also saves wear and tear on the cook by having needed items within easy reach. Can’t wait to see the finished product. As with your other home and garden projects, it will be amazing! I’m so happy for you and Avery. I agree with those recommending drawers on lower cabinets. (not the “open door, then pull out” kind) Get various depths. Think of how you love the dishwasher shallow top rack. I have a single, double oven which fits smaller cabinet opening for more stoage than oven. Your kitchen is bigger. Also agree on pulls that don’t grab your pockets when you walk by. Put in twice as many electric outlets than you think you need. I rent, and rental kitchens (and bathrooms) always are abysmal. Six months ago I moved 200 miles for a great job. The apartment that was the right price & location—and the only one where I would be allowed to keep my three cats—has a postage-stamp-size galley kitchen. UGH! Luckily, there is an adjacent dining area sufficiently large to hold my parents’ big oak farmhouse table (cobbled together by my grandfather from the best features of two tables 65 years ago). There’s enough space for a hutch and a tall steel shelving unit to sit in the dining room at the end of the kitchen to double the amount of storage space originally provided. It’s not ideal that the dining room has carpet—I’m looking for a piece of good-looking vinyl or laminate flooring I can put over the carpet on the kitchen end for easier cleaning. Function over beauty, I guess! We have an AGA which we absolutely LOVE! Know you are excited about your double-wall ovens so know you will LOVE those! Cork flooring is a great idea, we have that in several rooms. I would go with slate or concrete countertops – not so cold and noisy when you set anything glass on them. Most importantly, welcome to Avery Ophelia Elizabeth! Congratulations on your much needed and well-deserved kitchen remodel. My home/kitchen are only 10 years old. I love everything about my kitchen and wouldn’t change a thing. I worked with an amazing builder who put me in touch with a local kitchen designer and custom cabinetmaker. The cost of custom cabinets from a local business was less than the cost of custom or semi-custom cabinets from the big box and they are a perfect fit for every nook and cranny. A cabinetmaker could fabricate gorgeous, original looking glass front cabinets to be installed above your original cabinets to match the height of cabinets on the other walls. Make sure that you have the best exhaust vent available above your cooktop and install more electrical outlets than the minimum code requirement. Imagine/visualize yourself moving around your new kitchen preparing your most complicated meal to see if the layout works. I anxiously await the finished project – good luck, Kevin! First off….your new puppy looks so sweet! I would replace my plain old 2 bowl sink with a larger 3 bowl, with the garbage disposal in the middle. I had one in my last house and it was wonderful.. took the advice of a friend and had it installed when the house was built. It is hard (read $$$$) to retro fit those into existing cabinetry. 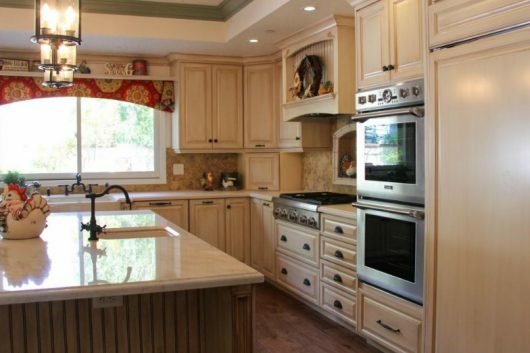 I don’t like my granite color here, but talk about a NONproblem….still…would replace the counters too. Have fun planning and dreaming about your new space! Check with a local, well respected and good references contractor and go with them over Lowe’s. I used Lowe’s to install new cabinets and countertops in my two bathrooms. Horrible experience. I bought the cheapest cabinets of the three that they had on display in their showroom. I ended up reordering them three times since none of them that arrived were plum, square and all had chunks of wood taken out of them. None of the drawers opened and closed correctly. Out of desperation, I had the last set installed. They still don’t close correctly. The silestone counters were not set appropriately. They cracked one of the sinks when installing them. They drilled the holes for the faucet too close to the backsplash and I had to get different faucets since they would not fit where they put the holes. Contractor dropped something on my wooden floors in the hallway and made a big dent in my floor. Horrible, horrible experience. Same goes for a window and door install they did for me. Had to have someone come and redo everything. On the other hand, when I redid my kitchen (I didn’t use Lowe’s), my contractor was great, cabinets came from Canada and are just beautiful (good exchange rate!). My contractor had a kitchen designer that was just great to work with. Granite install went just fine, etc. I think the costs ended up being about the same if I had gone with Lowes (and now I won’t set foot in their store). Just a tip. If you do decide to order your appliances from Lowe’s, check out on-line which models you want. Lowe’s will always order them for you and generally they can give you a good discount on them. You don’t have to buy what is in their store. I posted a pic on your Facebook page of our recent kitchen remodel. Mine was a 1965 home with a huge kitchen, but only one section of cabinets on one wall that contained the sink, burners, wall oven and fridge. We built on the other side of the kitchen, adding cabinets, gas and a stove before we took the old side out, and then added a cabinet and sink in the adjacent laundry. It worked well as we were never without a kitchen. We reused the old cabinets in the laundry, I hope you can use what you have. It adds charm and keeps the cost down. I have an induction cooktop, and it is divine. All the benefits of gas (instant heat up or down) and easy to keep clean. Boils water in 90 seconds. Very energy efficient. But… no aluminum or glass cookware. Wall ovens are fab, but make sure you have counterspace right beside. Quartz countertops are zero maintenance, plus antimicrobial. Go for honed (matte) finish -easier to keep finger-print free, plus more in keeping with your house style. Love all the good ideas. Two things we are glad we did, were cabinets to the ceiling with no dust collecting area and a large single sink. Only regret was not getting a pot filler by the stove. Thanks for asking for our opinions. I agree wholeheartedly with the lights suggestion. I had a very dark kitchen all oak cabinet and oak flooor dark green countertops. Center fan light. Now cream cabinet which really brightened the room. Yellow gold granite and bright led ceiling lights…I think they are called pot lights. Now the light cabinets made a big difference but wow the ceiling led lights. What a joy! I also painted the outside wall of the lower cabinet on my breakfast bar a deep blue almost navy. I wanted to do all the lower cabinets navy but the designer talked me out of it since my main focus was more light. I love it though. Have fun Kevin….can’t wait to see It! Hmmm….I wish for a large single sink…large induction cooktop….double wall oven….miles of countertop! I plan to enlarge my walk in pantry because it is the most useful space….remove most of my upper bank of cabinets because that is the trend…and will include at least a few large lower drawers…my needs include a nearby extra freezer. I’m thinking about a rolling stainless steel cart to fit under counter near the sink to hold/hide those dirty dishes that don’t go in my dishwasher…need to be hidden quickly… hang out looking ugly during a party…or perhaps to move out of the way for a video?? My compost container is in the fridge away from gnats but rollout under counter garbage/recycle is a must. Also want nearby hidden space for small everyday appliances like toaster, can opener, coffeemaker, etc. I’m wishing that I can leave them plugged in but behind doors. I lovvvvve your upper original cabinets and think sage green for the remainder is fabulous! This isn’t kitchen advice, though I’d love to re-do mine. This is kitchen remodeling, house plant advice. Wait until the weather is settled, if possible, to move ahead with your project. That way you can move your house plants outdoors. I had a kitchen remodel 40 years ago, and you would not believe the dust! I didn’t realize until too late that films of dust had drifted onto every surface of houseplants, closing off their pores and killing them. What can’t go outside, move to a room that can be closed off for the duration of construction. Such a sweet face Avery! Welcome to your forever home. Now about your kitchen plans, Kevin. You have many good comments here. Old houses have smaller kitchen spaces so going to the ceiling with cabinetry provides great storage, but needing a ladder stored in the kitchen means planning its storage into your plan. Consider a walk-in pantry next to the kitchen, if possible. Baking prep with a marble rolling surface is very useful, smooth surfaced easily maintained counters, double ovens with adequate ventilation in the cabinets to avoid overheating (ask the fire dept), a single sink is great for large items. Hot water plumbing at the stove for filling big pots is great. Consider two sets of burners, 1 set gas, the other induction. Induction can be installed in the island with a flexible cord for some movement. Otherwise, keep the burners portable if you need the island to move more. Consider a kidney shaped island to increase counter size for displaying completed dishes, with tuck under bar seating. Interview kitchen remodeling contractors for a second design, someone who specializes in old houses. I have found cabinetry skilled carpenters will custom build cabinets for the same or less than box store prices. I love the design of your original cabinets and would love to see that throughout your kitchen. Consider two colors for cabinets, 1 for uppers the other for the base units. One set of uppers with lovely “rain” glass will show well in your videos. Looking forward to hearing about your choices and kitchen developments. Second to Janice in Vermont and Soapstone–if you want stone. It stands the test of time so well…and so period for the house! LED lighting and lots of it….yes it does get harder to read cookbooks and measure correctly as we get older. We went with (gasp) high quality vinyl flooring because standing on stone or ceramic gets hard on the knees…(do you spot an aging trend here?) We found a great kitchen consultant at a local Mom and Pop building supply. She introduced us to lower DRAWERS instead of doors…the best! good luck! I just redid the kitchen in my very old farmhouse in Rosendale. My goal was to use as many non-toxic resources as possible. I put in a marmoleum floor and on one counter, contrasting marmoleum with metal trim around the edges, a la diners. Butcherblock from Williams on other counters—it’s the type that won’t show water stains or get moldy but it is truly maple butcher block. It has a finish that I didn’t particularly like at first but now love. And then for two counters over cabinets near the ancient stove I used bluestone. It’s beautiful. So there are many different counter tops but they all work. The cabinets are white which I felt worked best with an old farmhouse (the previous were the same green that you showed—they get old). And a white 1938 Kohler sink that fits in beautifully. I believe I kept the farmhouse look but updated the whole thing. I’ll gladly send before and after photos. Finally, from gutting the kitchen to finish was less than a month. I ordered everything in advance and timed it just right for the carpenter who installed everything. Best of luck! My daughter has an magnetic induction kitchen stove; awesome, if you can afford it. In “my” kitchen, I absolutely need my sink in front of a window. It simply “picks up” my kitchen and brightens my day. You go Kev. Can’t wait to see the finished product. I am lucky to have not only my two kitchen sinks that are adjacent to each other, but also a prep sink in the island. I never knew how much I’d love having that prep sink! A new kitchen-how wonderful. I just finished my fourth kitchen remodel-every house I buy seems to have a lousy kitchen. Here is my advice and it may only be worth what you paid for it. How lucky you are to have some original cabinetry. My third kitchen remodel was in a 100 year old house. I had no original cabinets so I studied other wood features of the house to include complimentary features in the kitchen. This informed the cabinet style. To honor your old house, you could closely match the original cabinet style. For me, it meant using quarter sawn oak and a simple door. I also added a new wall of cabinets and had them designed to look like the built-in china cabinets that were in the dining room, including glass doors with matching mullions in the uppers and beadboard. The upper cabinets throughout the kitchen were designed to come within inches of the 9′ ceiling as opposed to hugging the ceiling because everything was not level in that beautiful old house and trying to hang cabinets at ceiling height would have been a nightmare. However they were close enough that it worked, especially with the crown molding. Use deep drawers in the lower cabinets, they are so much more practical than doors. If you use doors with pull out shelves in the lower cabinets, you lose storage space over using drawers. I have only two lower cabinets with doors and that was to have convenient storage for baking pans and cutting boards, the second was to balance the first cabinet. If you don’t have a pantry, consider pantry cabinets-I have 2 and love them. Also, if you want to add additional pullout shelves to your pantry, it is cheaper to add “after market” pullouts yourself than to have the cabinet manufacturer add them. I have never been a fan of stainless steel sinks but have been won over. I like the double sink combination of one large sink and one standard size sink. Makes it easier to wash large pots. Also, I installed a faucet with a pull out sprayer attached to it. Under cabinet lighting would be great in your kitchen with the 12 foot ceilings-gets the light closer to your work space. In our most recent kitchen renovation, we spent a good deal of time planning: what do you do in your kitchen? Are you a baker? Do you entertain a lot? Are gourmet meals important? Structure your kitchen accordingly. For example, I bake. Baking requires a large counter space, which also serves as our buffet surface when we host parties. I like that you are considering painted cabinets. I found all of the stained wood cabinets, no matter the manufacturer, to have an orange undertone. Unless you like orange, pay attention to that. Lastly, you may also want to consult with a locally owned kitchen shop. You might be surprised at the custom service at a lower cost. Good luck and have fun! I am also in the midst of a kitchen do-over and have spent months with designers and professionals trying to figure out what I really want and need. I agree with your followers who have mentioned lighting which is a big reason we have taken our old kitchen and turned it 90 degrees, even though it meant removing a wall between the old dark kitchen and the bright sunny family room. I considered colored cabinets but have decided on soft white cabinets with quartz countertops. I will have a galley kitchen that is open on both ends with one side of the galley being my 13 x 3 ft island, which will have a 5 burner gas cooktop with a tiny prep sink nearby…the faucet on the prep sink will function as a pot filler as well as a much needed extra sink during family dinners. My primary sink is a 30 single bowl under mount…loved the farmhouse style but was a budget compromise. The $ difference made it possible for me to get a lift for my big kitchen aid mixer which is positioned at the far end of the island across from my wall ovens, where I will have 7 ft of counter space for baking. I was persuaded by my husband and others with experience to forgo the double wall ovens for a 30 inch single with a 30 inch convection/microwave combo. I actually had a convection/microwave combination oven previously and loved it so it wasn’t a hard sell. We’re keeping and refinishing our existing hardwood floors. My husband is taking this on as his retirement project so we’re moving slowly but the slow speed has given lots of time to figure out what’s important to me and what isn’t. Good luck with your project and wi5h the new puppy! Your new “baby” is adorable. I bet the puppy is as happy as you with the new arrangement! We redid our kitchen about 13 years ago. We have a 1970s house that had a large kitchen with very little storage and red counters and backsplash. The only lighting was a wagon wheel light in the middle of the ceiling. It was a sight to see! Anyway, we ended up tripling our storage with natural cherry cabinets that are still gorgeous. In the middle is a very large island that has cupboards on both sides for more storage and is finished with a top that is made from a bowling alley that my husband cleaned, sanded and varnished. Considering the age of your home you might want to consider an island that is made from a piece of antique furniture that will fit the decor of the rest of the house. Besides that the only things I recommend are drawers and pantry cupboards. My set of three drawers are 36″ wide and hold all of my baking utensils. I have all my pie plates, casserole dishes, muffin tins, mixing bowls, etc. in two of the drawers with the smaller top drawer reserved for measuring cups and spoons, rolling pin, and all the foil, plastic wrap, parchment paper boxes. Other than my mixer I can stand in one spot and get everything I need without moving. I was shocked how much I could put in them and I don’t have to try to find things that have gotten shoved to the back of a bottom cupboard. They are awesome and I highly recommend them. I also have one 55″ tall cupboard dedicated to baking supplies and another the same size for regular grocery type stuff. Adjustable shelves are a must. The other thing I love is a pullout garbage/recycle drawer. It has two wastebaskets in it. It is right next to my cutting board so I just pull it open while I’m preparing things and drop garbage in as I go. I would also recommend that while you listen to your designer you also think about how you do things and what works for you. We had three different designs and then picked the things we liked from each for our final design. We were told not to do a corner sink but we did and have never regretted it. Just some food for thought. Make every cupboard below your waist a drawer. Pots pans, dishes, food stuff all fit in drawers and with good quality slides, weight is not an issue. It eliminates those dead zones in the back of cupboards where stuff you don’t use regularly accumulates. I live in a 1789 farmhouse, so we opted for soapstone. Love it! Totally indestructible. Lighting, you cannot have enough, and put dimmers on everything you can. Best thing ever: Vertical shelving for cookie sheets, wire racks, cutting boards and trays. I’m tall and mine is above my refrigerator and I could not function without it! I have a new/old farmhouse with soapstone counter tops which I like, but make sure you are happy with “patina” if you go that route. A hammered cooper farmhouse sink always looks spectacular even if it’s dirty! And last, integrate your trash can into your cabinets. I pull out mine and it has two trash cans the one in front is for waste and the one in the back for recyclables. I’d start with an old-style enameled cast iron double sink — the kind with a drain board on each side and holes to accommodate faucet/handles, then go from there. It would be so nice to not have seams for water to seep into and under, and the drain boards provide work space that can be hosed down right into the sink. Gas stove/oven. White beadboard ceiling with exposed, matching beams. Also beadboard walls or wainscoting, at least, and some of your sage green color on the walls, somewhere. I had cathedral ceilings in our kitchen so my cabinets were very, very tall. Then I could put decorative pots n biscotti jars and ceramics above the top. Also, don’t see a microwave! One in a lower cabinet that slides out is practical since one often is heating a hot liquid or melting. Not as dangerous as a MW at eye level. I love big pantries so you can eye everything at once. Also a pantry or shelves with small appliances is helpful. Are yoy going to miss the island workspace? I had a 9’ island without cooktop! Great for entertaining, buffets, rolling pastry and pasta! Also, had a concrete countertop that was amazing! Looked like marble or granite but soooo much cheaper! Had a drain board designed in the concrete! Would you be able to have a bay window garden for fresh herbs? Have fun! Give us pictures! I would move the existing oak cabinets (paint them) to the ceiling and build open shelves beneath them for your everyday dishes. It’s great you can reuse the original cabinet that must leave for the fridge. Maybe the door can be used above the new ovens if its turned on its side? I agree with Hillary (comment way above!) who suggested losing the painted cabinets. We built 10 years ago and have some in a darker green than sage, and really like the look, BUT . . . they do chip and look ‘tired’ ever so much sooner than a stained wood. Maybe try a wash? We thought factory painted cabinets would be hardier than they turned out to be. (And we have no kids or pets running into them). I know your space will turn out beautiful and functional! Also, deep drawers that pull out full width is where it’s at for lower cabinets. So thrilled for Avery, You and the Silver Fox. PLEASE keep your kitchen looking appropriate to the rest of your house. I’ve seen too many Victorians with jarringly modern kitchens. You can keep the look and make things work. Make sure your work station for rolling/kneading, etc. is the correct height for YOU, not an average person. I’m 5 feet tall and I LOVE my short island. My tall friend LOVES his taller-than-standard island. Lower counters need to be standard IF you are including appliances such a dishwasher. Use drawers on lower cabinets–otherwise the space in back is useless. Pick what you love. It’s your kitchen. Hi,, i like your painted light cabinets, brown is just to dark and not so clean looking as I look back. For me I would put lights in some of the cabinets and as many as possible open, so I can see everything. I am 83 and don’t remember things in the back, so if I see things, I remember them. I’d put in a deep farmers sink so that the big pans can be easily washed with the handle that comes off and moves around in sink. I would put in double dish washer with place for small washes and larger ones. I would also love to have cupboards that slide up and down, I am short and getting shorter and don’t want to get on a stool. Old people shouldn’t. I want a huge cutting area somewhere near the stove. Now I use my washing machine with a cutting board on top, which is next to the stove. I would like a pull out cutting board and also pull out areas for when the is a lot of diners. My kitchen is very small but usually there is only or two people here, so I would love it to be able to change faces when needed. I need to sit down when cutting and cooking so would like a stool and area that works for that. I would also like the nice window that goes out where you plant the herbs. I used to have this in New Hampshire, but would like my spices on a long little shelf where I could alphabetize everything. And it would be great to have some kind of hanging shelves for when food is prepared but waiting for other things to cook. I am 83 and hardly have an appetite, but used to love to cook and did have an Inn. Snow village Inn, in Snowville New Hampshire where we had wonderful meals. It is still there and a wonderful place for a vacation and a great dinner, in the dining overlooking the White Mountains. I still would like a pantry, I used to have one. As I said I like to see what I have. There is an area between the house and garage that could be made into that room. Being in California there is little or no freezing so lots could be stored there. I always cruise kitchen areas. Ikea has wonderful ideas too, but perhaps too modern for your place, but oh so convenient. Hindsight on my part… I would have added a built-in trash bin in the work isle under the spot I work the most. I also like to have a spot across from that that two comfy stools can be so i can chit chat with friends as I cook. I always have a soft short footstool close so the dog can curl as I work & we can glance at each other. As my weeks get wild & wooly I take a moment to say ” Wonder what Kevin is up too” & I take a relaxing moment to come take a look on your page. keep up the good work old friend, we all support you. Redoing your kitchen? So exciting. I redid mine about 8 years ago and here’s my best advice. I love sage green and have quite a few textiles in my house featuring this soft grey-green. But…it is a dated color, from the 90’s, and I would rethink making permanent cabinets in this color. Even trying to stay true to your period house. Some people only see ‘hospital green’ and some simply want something more modern and fresh. I love your wood floors in your kitchen and hope you keep them. I hate tile underfoot as it’s hard on one’s legs and feet if you’re a real cook and spend hours standing in your kitchen. Put anything you love on your backsplash except damn subway tile. Subway tiles are so overdone and according to houzz reports are (finally) on their way out, a bit dated now, and frankly, to this New Yorker simply remind me of…you guessed it…subways or public restrooms. Not a nice olfactory or visual connotation for a kitchen. I’d stay away from anything that feels like a fad, such as small polished glass tiles; these will look very dated in another three to five years. For counters, go with what you love, but avoid anything that requires grout, i.e. porcelain tiles or granite tiles. I suggest a matte or buff finish rather than a polished finish that shows every tiny drip. Finally, I wouldn’t plan your entire remodel on the chance that your youtube or TV career takes off; as we all know, these things sometimes happen and sometimes don’t. Plan a kitchen that you love to use, period. Good luck and have fun! Kevin we recently refurbished our old cabinets with Ackley Cabinet in CT. For HALF of what new cabinets would cost, the redesigned using existing boxes. New doors, drawers, etc. looks brand new. We had Carrera marble which we rehoned. Piece of cake- look on HOUZZ for Ackley. I wouldn’t recommend Lowe’s or HD for this job. Great choices. LOVE the sage green. if you can get some drawers to replace lower cabinets do it. Makes the entire depth accessible. When I bought my developer-built house 10 years ago, I would have had to pay the full quoted price plus full cost of additions for anything that wasn’t specified by the designer, so I decided to keep almost everything and make changes as my original stuff failed. What I have that I love: pull-out shelves in all lower cabinets. What I would add: In my last house, I re-did the kitchen, and one of the cabinet choices included a swing-out spice rack – it was terrific, and I wish I had it here. I love your sage-green cabinets, and I think you will, too. Good luck with your whole project! My kitchen had to have “uppies & downies” (upper cabinets at different levels (height) near the ceiling. I do like your double bank of cabinet idea for a smaller kitchen though! It also had to have innies & outies” (counter top cut in for kitchen sink, extended out for bake center — a few inches on both the inie & outie). It breaks up that flat kitchen counter look. Any corner cabinets had rotating shelf units, and the work (center) island has pull-out shelves or drawers on all sides not taken up by my oven. You’ll probably have a giant fridge, but mine has a cabinet above with dividers to store cutting boards, etc. Kitchen design is such fun — enjoy the process and you’ll love your new kitchen! 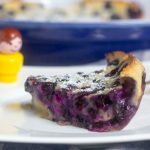 I had double ovens in my previous house and loved them! Even though they were small, they made cooking a few different items at a time–at different temperatures–so much easier. And for just two of us, heating up one small oven seemed more economical. One appliance I would love to have if I had room (current home has a small galley-type kitchen) is a separate dishwasher drawer for glassware. A small separate refrigerator for wine, beer, hard cadre, etc. And while we’re at it, a butler’s pantry. Like Ginger, I like to see what I have! I still think of Lilly the Beagle. Congratulations on the new addition 🙂 She’s darling. On the kitchen, I wouldn’t go with a separate double wall oven. I find them difficult to use as one’s to high up (then again, I’m sure you’re significantly taller than I am). I went with a big 6 burner stove with a grill and griddle that had two side by side ovens. Maybe overkill for most kitchens but we host holidays here and during garden season can a lot. I went with stainless steel counter tops, easy to clean and never worry about hot pans. Center isle is chopping block with prep sink. I LOVE the sage color you’ve chosen but would go with less trendy faucets and simple white farm front sink. Styles change. Exciting changes! First off. I love almost everything about the green kitchen. It looks very peaceful. And the window? Wow. I was very fortunate when I bought my house 10 years ago. Sometimes I would like to change my sink to a big stainless steel single one. I love the big pull out drawers under my electric stove top. I would like to have pull out shelves in the lower cabinets but can’t decide exactly how I want them. Just take your time and try to get exactly what you want to make you happy. If you have to do a little at a time….hint. hint… make videos of what you are doing, before and after. I really love you videos. You have a lot of good information in them. I agree with the quartz countertops. They are sooooo easy and solid. Before you make a decision, stop into IKEA. Too modern for your Victorian, but they have incredible storage solutions that you probably won’t find at Lowes—good ideas source. I know this comes down to your personal taste, but I feel those extra high cabinets are just a way to increase your cost. They feel overbearing and they aren’t very functional. Oh! One more thing! When we installed the quartz countertops we also had a quartz sill made for the kitchen window—no more painting! Hurrah! Love ya, Kevin! hot air under the booth table, where I let it blow up my bathrobe on cold winter mornings. This option may not appeal to everyone, but I love it. done cooking, you still have to lug the pot back to the sink, so I question its value. 5. We’ve sunk a compost pot right into our countertop next to the sink. A gardener’s must! contemporary isn’t your style, I know, but this is something to keep in mind. drainer, so there is no clutter on the countertop. I would definitely do this again. Enjoy the ride! And congratulations on your darling new puppy! – drawers for pans rather than cupboards. So much easier. My very favourite is a lid drawer. All the lids are in there – helps keep everything tidy. – on either side of my cooktop/underbench oven I have narrow (about 6 or 7 inch) slide out cupboards. They hold cooking necessities eg oil, salt, pepper, soy, tabasco, worcester sauce etc. In other words all the things you want to grab while actually cooking. – I also have a toy cupboard, as I call it, which is a bit away from the main triangle. This holds the appliances and other items I don’t use every day eg ice cream maker, stand mixer, big heavy pots, baking trays and so on. Frees up valuable space in the triangle. – a glass backsplash rather than tiles behind the stove – much easier to keep clean and really beautiful. Don’t be suckered into having anything less than hard stone (granite, marble etc) for your benchtop. You’ll regret it. My brother has one of those compound stone benchtops. Twice it’s been burned by hot pans. Cost him a fortune both times to get it fixed. Finally, don’t be bound by the light needed for your photography. Get what suits your cooking. You can always buy a spotlight if needed. And extra finally, a tip for cleaning stainless steel appliances. Wipe with an almost dry microfibre cloth then go over it with a paper towel. I never have spot or streak problems. So glad you are focused on a new kitchen. A very wise woman recently (2010) wrote a very interesting book about planning a garden, Gardening for a Lifetime: How to Garden Wiser as You Grow Older, by Sydney Eddison. Her focus was lessons learned from a lifetime of gardening and then one day finding she could no longer maintain what she had created so tells us to plan ahead. Hence, before we know it, time passes and either a garden or even a kitchen no longer serves us well. For you, one thing is developing a kitchen for the camera, but make sure it first is best for you in the long run. Seating: Add it to either the counter or make a cozy keeping room nook corner area with rocker/chair/side table/lamp so people can join you in the kitchen and where you can sit to stay nearby while tending to cooking. Upper Ceiling cabinets: Install for aesthetics yes, but don’t plan on using for storage because it will no longer be smart getting up and down on a ladder because aging looses both balance and strength. Add glass insert doors and light up art pieces. Lower cabinets: All shelves should be all pull-out because as we age it is too hard to get down and pull things out or put things back; consider some multi-drawer cabinets, and a vertical tray & cutting boards storage cabinet; include closed storage cabinets under island. Countertops: I have never heard anyone complain about quartz (no maintenance) and/or beautiful soapstone (a little maintenance) would help tie new kitchen into home era. Cost cuts should not be made on counters over wall cabinets but island butcher-block top could help with initial cost and be upgraded later without major remodeling cost. Classic light color countertop never gets old, makes things brighter and easier to see things on it as you get older. Original upper cabinet bank: Beautiful, do not paint and could be used as the cabinets under the island and sitting on an added stained-to-match raised toe box raises them to desired height. Wall cabinets are shallow depth so If want a really wide island, they could be put on the “front” side and on the backside have normal depth cabinets. Extra leftovers could be used near the sitting keeping area to tie in with island and history of home. But for sure keep, even if moved to another room. Trash can cabinet: Nothing worse than not designing a nice place to HIDE stinky trash…. and in a cook’s kitchen, it gets stinky fast. My standalone covered trash can sits inside a 5 ½ ft tall by 24” wide broom cabinet with a few narrow shelves inside it and space for broom to hang and has another cabinet sitting on top of it for more storage. Work triangle: Sink, refrigerator, & stove top need to be close but oven(s) and microwave can be further away. Island: Instead of any burner built in for the videos, consider using 1 or 2 portable commercial countertop hot plates when making cooking videos. Make sure each burner is 1500-1800 watts, e.g. Cadco Countertop Hi-Power Hot Plates ~$120 (like they use on remote cooking demonstrations). Have island wired for at least 2ea 110V, 20 amp circuits. Move sink to under any available window and better yet, big bay window so can enjoy and show-off fresh pots of herbs growing in kitchen. Photographic Light Space: Bring in a folding table for just those times you need a space near the windows to take pictures of food, e.g., folding dining tables for small spaces, antique folding sewing table, or extended height folding table. No need for Island to be movable. Colors: The sage green color choice for some of the cabinets is classic for the house era and is a great color companion with wood colors. Blue kitchens and/or dishes are not recommended because blue is known to be an appetite suppressant. Any dark cream color looks old and dingy, like in dirty and greasy. Keep the old wood floors. Pot Filler Spout: Save money here and forget it because you still have to pick up the pot of water and dump it out in the sink. Appliances: Stove – People love their dual oven ranges (one on top the other) so that could be one way to eliminate space for wall ovens. To prepare a meal, most home cooks usually use only 2 cook top burners, 1-2 oven(s), microwave, and/or small electric appliances (e.g., slow cooker, toaster oven, portable grill, and/or BBQ grill) so forget about 6 burners monsters. Refrigerator – Unless you have a 2nd refrigerator close by, get a reliable large capacity refrigerator for all the food needed for entertaining & videos. Book Storage: Include someplace to store your current reading material. I hate my kitchen floor – gray ceramic tile – 12 X 12 in. Laid in a grid. I have bright rooster themed area rugs to improve the floor. I can’t make up my mind on new tiles….plus the ones I like are too expensive. The other issue is that I would also have to rip,up the entry hallway that leads to the living room. Which means finding a floor covering that works with both kitchen and hall, or finding another floor covering for hall that would complement kitchen. My powder room had this gray tile but I ripped it up and used marble. But I couldn’t believe the dust and mess that resulted from ripping it up. That is another major reason why I have put off this project for 15 years! So I have learned to live with gray tiles! I enjoy reading your news and recipes. New kitchens are very exciting and good luck with yours. 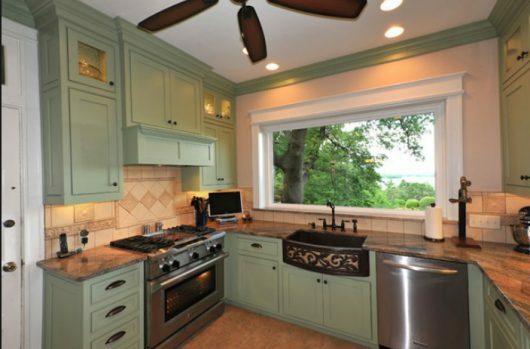 One caution-green in a kitchen can effect your perception of the doneness of foods. I found this out after I painted the walls of an apartment years ago. And of course, was told the very same thing by several people when the deed was done. Just a heads up. Enjoy the process. Very light sage green cabinets would fit well with your house. Cozy! I have soft, slightly off-white cabinets and several shades of cream to toast on different kitchen walls and soffitts, and I have redone several kitchens. This house has been redone twice and needs new cabinet fronts now because some household helpers I hire tend to favor long, vulgar loud-colored fingernails that dig into the wood around the knobs. And I put brass plates on the bottom edge of the lower cabinets because these workers tend to kick or hit with a cleaner/steamer and destroy the wood. So if you hire kitchens help from a limited pool, don’t have knobs! Find something they can’t destroy. And forget any cabinets you have to reach with ladders. Too dangerous! Have as many pull out cabinets as you can. Glass in white cabinet doors looks very appealing. Can be lighted in back too. Also cabinets with no doors in some areas too. I always have double ovens and they are one over the other. I have never felt the need for a microwave although my Arizona vacation home had one I never used it. All my appliances are white. Easy care. Stainless steel smudges and never deserved to be popular any more than avocado of harvest gold ever deserved to be popular. And never, never have fluorescent lights in your kitchen or anywhere else except over a workbench in the garage!! Because I have a lot of antique French china and crystal, as well as custom-made Limoges and Amontagnon, (sp? )I have soft laminate counter tops that look exactly like granite but without the upkeep of granite or the danger of breaking precious china and crystal on the hard surface. Or radon out gassing. Fine china and crystal have a chance to survive an accident on laminate. Perhaps there are newer surfaces now that are not as hard as granite. Through the decades, for more than 100 years, my family has had white cabinets and I style my kitchen to look like those kitchens, in many of which I have spent happy hours. All had windows over the kitchen sink, even the log house in S. Carolina. And yes, you must have a double sink. You will find a personal touch that will make your kitchen unmistakably yours. For me, it is framed photographs in the kitchen of my now deceased family and ancestors (women) in their kitchens that look very much like mine (without the wooden drain boards (counter tops) or hand water pumps of course! One family member had the first white stainless steel kitchen cabinets in her city. That caused quite a stir. Wood is much more warm and homey. I know you will have fun designing your new kitchen and it will be just what you want and inspire you to create many recipes and entertain your guests there. The most important ingredient will be joy. I admire your dark blue KitchenAid mixer. I have the same one from when my soft white kitchen had dark and light blue uneven plaid on white and putty gray background wallpaper. I loved that large bold plaid, and it extended cheerfully into the bright breakfast room, but a kill-joy decorator said it had seen its days and was too bold for my old English-style house. I loved it for 20 years but was convinced to say goodbye and go with paint. But I will always miss wall paper and I refused to ever, ever get rid of the hand-made grass cloth in the entry way and the dining room. Decorators be damned! When I look at your current kitchen, the highest priority is storage. The extra tall cabinets are your solution. I would pass on the double oven. I redid my kitchen in 2016 and got all my kitchen appliances from Lowe’s – Kitchen Aid. They have a very attractive microwave over oven combo. The microwave doubles as a 2nd oven (with limited capabilities compared to the bottom real oven, but it can bake just about anything). This would be a space saver for you. The last priority is good, undercabinet lighting. So important for aging eyes (no offense). When I cook in kitchens w/o u/c lighting, it’s torture. – a farmer’s sink because of all the wash-up you will have after your demos. A pull- out spray faucet is also a great help with that cleanup. Another person suggested hammered copper & I agree because it is easy to clean, anti-bacterial and is so big that your kitchen still look clean even when there are dishes in the sink. I have flat dish drainer in half the sink to air dry knives. Good luck with your new puppy & redo! Hi kevin – I love how this new design looks so far! One of my design pet peeves is when cabinets float too low on the wall! The crown molding also looks classy, imho. We just purchased our dream house that just happens to have a lovely kitchen. A few things it has that we love include garbage/recyclables in a pull-out drawer, a sink with disposal in the island, a deep farmhouse kitchen sink and a professional ‘fridge. We too have double ovens (Braun) and love them. Our larger cabinets have pull-out shelving to make full use of those deeper spaces. Our cabinets also have a feature where if you gently push it nearly closed, it closes itself the rest of the way so we’re not slamming them. My aunt re-did her Southampton kitchen which was tiny and cramped. She added a pot-filler over the range that apparently is a new thing in kitchen design. It’s a cold water spigot just for filling those huge dutch oven type pots on the stove. Makes sense! hers folds back when not in use. Their designer also set the microwave down at hip level in the island so you’re not staring at it. That would take me a while to get used to, but good if you’re short on counter space and if you – like me – don’t use it very often except to reheat coffee. Enjoy the fun of designing your new space!! I put full extension drawers instead of cabinets everywhere I could. That way I don’t have to get down on my 63 year-old knees looking for something in the back! I used the upper cabinet over my double oven to store all the big cookie sheets, serving platters and trays. The cabinet installer kindly added vertical slots to help keep everything upright. I added a full height bookshelf to finish the cabinet run. I have plenty of space for all my cookbooks right in the kitchen. One thing I would change is to increase the amount of walkway available between our main cabinets and the island. Right now it’s about 48 inches; I’d increase that to 60″, especially if, like me, you have two people working together. It allows for more space when the frig or dishwasher doors are open and someone tries to get by. When we have large gatherings that extra space would be useful too. In my mind’s eye, I see a photo of sweet Lily as she “helped” in your old kitchen and Avery prancing around on the dark wood floors of your new kitchen. I also see classic white floor-to- ceiling cabinets with some glass in the uppers. Be sure to put lights in those glass cabinets to display your favorite pieces. White (or light gray) subway tiles on the backsplash is clean and timeless. Double ovens are a must–as is a six-burner down-drafted island cooktop. 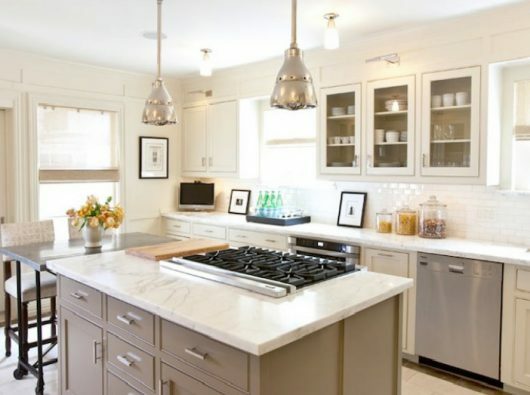 With white cabinets, the island would stand alone in a soft, classic color. Be sure to make it long enough to allow your guests to watch as you cook and where you have enough room for a casual buffet. Quarts is beautiful, but keep in mind that you cannot place hot pans directly on it. If your double farmer’s sink is directly behind the stove, it’s easy to simply turn around to drop your used utensils, etc., into the sink. The sink cabinet color could match the island color and would break up all the white. Schoolhouse overhead lights, in addition to recessed lighting, would be beautiful. And while we are up on the ceiling, how about some tin–even if only above the island as it is quite expensive. That’s MY dream kitchen. I can’t wait to see YOURS! I recommend quartz countertops. It comes in such a variety of colors and is a dream to take care of (no special maintenance required). Your floors, I assume are original to the home, are beautiful. The original cabinets seem to be one of the features on which to build your “dream” kitchen. I believe you recently purchased a new dishwasher, so that’s one less expense. Ever seen the episode of Julia Child where she talks about the piece of marble that she purchased from a furniture store? Since you will actually use your kitchen and it won’t be just something to look at while you order take out, maybe installing a small area with a marble top might be beneficial. Or, of course you could just buy a piece and have it unattached like cutting boards. Whatever you decide to do, just be sure it works for what you will be using it for, WORK! And congratulations on your new addition, arf arf…..
Hi Kevin. About 3 years ago, we bought and updated an older home. The best thing I did in my kitchen was quartzite countertops. It is a natural stone, (not to be confused with quartz) much more durable than marble. It is a little pricey but soooo beautiful. Does not stain, does not easily scratch or at all that I can see or get dull looking. It’s amazing!! Have fun and love seeing your new pup! Make sure that you can put pull out drawers on the lowers. My lower cabinets have a support post right in the middle front so I can’t put drawers there for getting to pots and pans that are in the back. 2) Open up the window from one 6 on 6 to a large bay (so glad we did this) and it looks like you are doing that – it will be the happiest thing you do besides getting a new puppy! 3) Get soapstone for counter and the farmhouse sink – our house is turn of the century so we wanted to have an old farmhouse feel. This was perfect for us, but more importantly there are more options than granite so look at all and decide what pulls your kitchen together. 4) Go with paneled ceilings – this was a surprising suggestion from above contractor and it was not too expensive and amazingly pretty. 5) We painted the walls the color we loved and for the cabinets went with white because someone wisely suggested to go with a cabinet color you like now, but can change (we did while with black iron looking hardware). I was going to do what you are aiming to do, but I love the freshness of the all white cabinets and the knowledge I am not bound to that. Your floors are amazing. Your fridge looks new and I know your dishwasher is too so those are some money savers! The stove is oddly personal and we got lots of advice, but went with what met our needs (5 burner gas).I did not get a dishwasher and instead have it set to go behind the scenes if I change my mind and put in its place – under counter trash and recycle bins. While I agree it is nice to work with the cabinets you have, I would caution you that it may be more costly to integrate them…I know, I tried to do same. Instead I moved mine to my washroom for storage there. I was going to move to pantry but that no longer worked once everything else fell into place. Re: an island – some suggested a cooktop can be fun because you can cook and talk to people gathered around (not how I like to cook) and others told us get plain for entertaining. Others insisted I get the faucet/sink. In the end we did not do either and instead went with a marble top french high iron table with stools. For us this was perfect – it is a bar, table or workspace depending on what we need and we can move it to be an island or off to the side. For us, that flexibility was what we wanted. 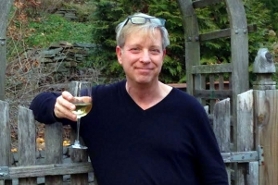 Last word of advice – try to enjoy the process….it is disruptive and dusty, but you will be thrilled once it is done. Good luck! One thing that I didn’t realize till after we installed our new double wall oven was where does the exhaust fan blow out at, unfortunately our wall oven is near my counter seating Island, so when you are sitting on the bar stools and the oven is cooling down it blasts you right at head level! Our old one vented up. It is something I would of never thought to think about . The other thing that is what I would consider a design flaw, the glass on the doors can develope drips in between the 2 layers of glass, and the only way to clean it is to take the door apart and hope you don’t break the glass. I am very happy to see that you will now have your kitchen sink in front of a window. That is my first priority in a kitchen. I absolutely cannot stand to have a kitchen sink in front of a blank wall. I prefer drawers over shelves for my pots and pans. I also like drawers for cooking utensils. I want enough cabinets to eliminate excessive stacking. Enough counter top surface for more than one cook in the kitchen at a time and plenty of counter top space to allow baking projects. Always vent outside, do not recirculate. I always thought down venting made sense rather than draw everything up and all over everything on the way. I would prefer gas over electric for my stove top. Electric is fine for baking and the oven. – I went with quartz and overall I like it. What sold me was the hype that it is nearly indestructible. What I learned is 1) it will burn, so no hot pots, 2) it can stain 3) if chipped, it cannot be repaired 4) it cannot be refinished or rebuffed. We had an unknown ring appear and when the installer came out to ‘fix’ it, his buffing only made the surface worse and completely dull in that area. That’s when he told us that quartz cannot be refinished. So, I advise that you clearly research the material you intend to use before committing. – Previously I had a professional grade gas range. Went with a 5 burner induction cooktop in this remodel. Absolutely LOVE induction and will never go back to gas. It is so precise and the glass cooktop is extremely easy to clean. I highly recommend induction. Good luck with all the decision making! HI Kevin, I hope you want advise from a frugalista with German and Irish ancestry. First, make a list of what you absolutely cannot live without, like that double oven. That would top my list. Come up with a budget figure and try not to veer from the number. That saying, happy wife happy life? Happy partner happy…can’t find a rhyming word. What can you live with? What can you reuse? Do you need a new fridge? Can you visit shops that sell granite and Quartz and back splash or are you tied to what Lowes carries? My dear girlfriend is of Norwegian decent and prides herself on her ability to be frugal but stylish and find a bargain. She found a discontinued back splash for a fraction of the cost and her kitchen is beautiful. What surfaces are the easiest to care for? I had Quartz in another home and I loved how easy it was to care for. I have black granite in this house and I can certainly live with that. I recently moved to a home built in the 70’s with honey oak trim throughout the house. Paint companies make paint colors that beautifully complement honey oak trim. This frugalista wasn’t going to paint all her beautiful oak trim. We did, however paint the kitchen cabinets. I sit with my morning coffee and visit Houzz and Pinterest for ideas. Good luck and live within your budget. Have fun with the process. I would definitely include a deep double apron sink to accommodate large and deep pots! The apron style sink would be spectacular with your classic home. Just Google “Apron Sinks” under images and hundreds of photos will come up. Also, lighting? I’m assuming recessed lighting and perhaps hanging pendants over the work island? And, of course, under cabinet lighting. Minor, detail, but I would also include a narrow lower cabinet to accommodate all size cutting boards. Can’t wait to see the finished project! Hi Kevin, congrats on the new baby – she is adorable! As for the kitchen, we’ve been in our house for 22 years so I have spent a LOT of time planning out my own future remodel. I think you really need to figure out what will work for the two of you. For instance, I love my stand-alone trash can and could not imagine having an integrated garbage can like my parents. I do a lot of messy crafts and having the ability to open the trash with my foot is important! And one commenter above already noted the reason I won’t put in a pot-filler: you still have to carry the dang pot to the sink to drain off that water! The biggest thing we’ll do is buildout a small pantry from an entry door that we literally never use (it leads to a side yard full of bushes). As for the countertop, we’ll probably pour our own concrete counters as we are very experienced with the medium. Sure, they’ll stain, but if we hate that we can replace them, and the original cost will have been minimal. I know others have recommended soapstone to you but my friend hated hers (too much upkeep). Last thing I will do is avoid stainless appliances. My dearly beloved garbage can is stainless and shows every fingerprint etc. for which I forgive her but I don’t need any more of it! Check out the fb or web page of workshop of David T Smith. He has some of the most beautiful cabinets for historic homes. He does do a lot of primitive style. Some of the most beautiful work I have ever seen. Can find him on Pinterest too. I would also check out custome cabinets. You will get the best use of space and any style or color you want. I just did my kitchen 18 months ago. I love my quartz counters and farm house sink. I also go a larger and more powerful hood recommended locally and very glad I did. I had feet added to my cabinets and had the foot board covered in Formica in a very dark brown. It disappears and is easy to clean. I would heat the floor. Kevin, I think your oak cabinets look fine, but I do like your color choice of sage green for your new cabinets. That would look so nice in your older home. Also your idea to go with double ovens will come in handy. I hope Mr Potato Head will still make his appearance in your videos once you have the new kitchen = ) I have a lot of green color in my home and I love it. Although my kitchen is original to the house which was built in the early 70s, the previous owners did update the counter tops to a light teal green. They are a cheaper type counter, but the color is nice. A couple years after we moved in, we had our old vinyl kitchen floor replaced with Pergo flooring, which is a faux wood that looks like wide plank light colored wood. It is supposed to be very durable, but I have found that it does not live up to that. It got dented when a little jar of spices fell on it. Also when we had some plumbing issues under the kitchen sink, water got under the Pergo floor and it made the edges of it raise up and now when we walk on it, you can feel it under foot. From experience, I would not recommend Pergo. I’m sure your new kitchen will turn out so nice, as you have great taste through out your whole home. I hope you will share pictures of the redo. Want to see the kitchen from hell? Come to my house. I too have been wanting to re-do my kitchen and now I have to due to a severe leak that was discovered late Saturday night. I could cry because water damage. This was not how I wanted to get a new kitchen. Paint your cabinets white. I think they would look great. …. and use your existing cabies + build the upper glass cabies on top of the existing + add a crown molding……. then paint everything in the colour you want. … and use your existing cabies + build the upper glass cabies on top of the existing + add a crown molding……. then paint everything in the colour you want. Countertops: new, whatever material you want and make sure the colour compliments the cabies. Island: totally rethink/redesign a new island w a 2 burners of any kind & open shelves on your side, enclosed on the front/visible side—– try to have it in the same colour/stain of the cabinets that you are saying are original to the house, but all these must go with the new colour on the other cabies. You will be amaized by the results, can create a beautiful kitchen that goes with your house style. I suggest you visit For the Love of a House blog and look at Josh’s kitchen. She has a NH farmhouse about the same era as your lovely Victorian and she and her husband have done a wonderful job. Another blog with wonderful color and design advice is Maria Killiam Colour Me Happy. One thing I have implemented in my kitchen is a built-in soap dispenser that matches my faucet. I have a big bottle of dish soap underneath the sink with a long time connecting to the dispenser. Best thing ever as I always ended up with the ugly soap bottle on my counter for convenience. Congrats on your new little love! Congratulations on your new family member! I wish I could see all the lovely-sounding kitchen re-dos above…I’m in a 1925 bungalow with a small circa 1960’s/70’s kitchen. Would love to do it over in the future, but have changed my mind about what I want many times over the years. You’ve been given lots of great advice, I’d say take it and do what appeals to your heart! Please share lots of photos of the process. If you need good sunlight for the videos or photography, either add a huge kitchen sink bay window or replace and/or add more windows. With any window near a sink, remember water splashes up to 2 feet so make sure the glass is far enough away to not to have to constantly wipe down windows before a video shoot. The pull-out waste basket w cabinetry face. Hate displaying that ugly can. Keeping the original wooden wagon wheel chandelier to retain some of the home’s flavor. Ripping out saloon cowboy swinging door from foyer to kitchen. Ripping out doors that closed off a smallish kitchen from a smallish dining area. Pull-out shelves for pans and canned goods. A 4-step ladder with sturdy bar in front to hold onto to reach high cabinets I know I could make better use of. Right now, I have a 2-step w no bar. Too dangerous. A pull-out storage unit for canned goods that I think I can put between refrigerator and pantry. I need more space so I can use pull-out shelves for more cookware. Thank you for helping me make a to-do list, Kevin. I’d like more cabinet, drawer, and pantry organizing tips in your wonderful column, please. After reading all these comments I have only one suggestion. Have a large single sink so that you can soak your cookie sheets and oven racks. Opps, I forgot one other thing. Be sure to have a selfcleaning ovens and ventalation so all there is to do is wipe out the ashes. The large sink also comes in handy with cleaning the glass refigerator shelves and drawers. If you haven’t guessed it, I am a lazy clean freak. I like the suggestions of whitish upper cabinets people have posted. If you are looking for beautiful but economical kitchen cabinets/cabinet doors, it doesn’t get any better than this implementation by HGTV Fixer Upper, Joanne Gaines, i.e., slab door with simple added trim that could fit any past era esthetics. Granite countertops are nonstaining and wonderful for rolling out pastry. I would say you want a counter top on each side of the stove and a direct path from sink to the dishwasher. Other than that, I would have tall upper cabinets so you don’t create a space above that isn’t easily used. I got a cabinet that has open pull out drawers and lots of door storage under the cabinet creating a pantry which could hold larger things. Everyone’s stories are interesting, however I could not read them all, lol. I will be starting the 2nd part of my kitchen very soon. I’m changing globe lights for recessed ones. I got 4 electrician quotes, one was too high in price and the other three never came back. I guess we were too small of a project? We decided to do it ourselves and work with an inspector instead. Oak cabinets are not my dream but we bought 17 cabinets like new for $375. I wished now, I would have replaced the doors with a rich warm glow of alder wood, but thought I should be content with such a deal, so I’m glazing, bringing warm colors in. I’m doing both ceiling crown molding and cabinet molding as you can see the slight gap between the old wall and the ceiling. And I want to refresh the paint. I like the old world colors or even the Tuscany colors, warm and inviting. I’m opting for a soft glow from the recessed lighting and choosing LED lighting under the cabinets, you know, so I can see what I’m actually doing, lol. We bought a pair of pantries togo on both sides of an ugly ivory colored fridge that will someday soon be replaced by a black stainless steel fridge that has the freezer on the bottom and double French doors on the top. Side by side fridge/freezers don’t hold much. I did want the lower half of my walls to be rock of some sort without grout, but I couldn’t find the perfect color without breaking the bank, so for now repaint the faux brown leather (don’t ask), with the warm gold of the upper walls and I might do some plaster stencil work there instead. And antique it with rich browns with a splash of blues. The floor is just vinyl sheeting but it has many warm colors in it. I did think of cork, but could it with stand the high heel stilettos my daughters wear when visiting or 3 grandkids, sometimes dogs who get excited ( Labs), cats and sometimes even a chicken that the grandkids bring in the house.? Nope, I don’t think so. The countertop is on hold but bc we have a big section, my contractor friend suggested granite looking laminate Bc if we get tired of looking at it, we can change it out for a new facelift at a fraction of the cost. The backsplash is on hold too until the counter is picked out, but I have two favs that I’m thankful I don’t have to make that decision right now. Those are pebble stones which look like agates in the neutral brown shades or big pieces of slate….quite a difference. The trim around the new window, I’m hoping for rock, like some sort of ledge stone, if I can find the right shade, but that is the last thing I have to worry about bc it all depends on the countertop and back splash. One thing that I’ll be changing already is putting drawers that hold the canned goods from the deep pantry. It is so hard to see what is sitting in the way back. And I moved some goods around creating a baking center with my existing cabinets and am also getting a moveable eating bar and will use that free space for canning season as well. We plan to start the recessed lighting in 3 weekends as we finish the barn themed Rec Room.